Me llamo Noel. I am in Virginia, USA. I apologize for not being able to continue this request in Spanish. I hope for your assistance in a matter of research in dance theory. Many years ago I was introduced to a woman who had a theory concerning a "hierarchy" of muscle tension & how dancers with a particular hierarchy would be much more comfortable (in their bodies) while addressing themselves to modern dance when contrasted by tap dance or/and ballet. She hypothesized that there exist four (4) types of muscle tension & that each one corresponds to a type of dance; i, e., each form of dance is governed by its particular form of muscle contractions. She stated the four types as: posturer - for this form of dance, the positions between movements are as relaxing as any movement. As an example, a ballet dancer is usually as comfortable with one or both hands held above the head as though they were at his/her sides, limp. The arrestor's movements are like marching, very earth-bound. The assistor's movements are fluid & associated most often with modern dance. And the perseverator for whom rhythmic tapping or/and rocking are associated with tap dancing & modern jazz. I wonder whether you are familiar with the theory I've related here & whether you could assist me to recover the theory in its full text. I can not (you see) recall the name of this theories' inventor/writer and I do not have access to your resources nor experience. I appreciate any response you may offer. I am seeking this information as part of a community effort to promote dancing such as is practiced within the organization Dance New England www.dne.org. Thank you for consideration of this request. I have never heard about the theory you mention but considering the movement intentions you describe, it all reminds me of Rudolph Laban's effort theory. I've never heard the terms 'posturer, arrestor, assistor and perseverator' within his framework, but the dynamic attributes you mention, like earth-bound, fluid or rhythmic tapping could be associated to Laban's dynamics and effort qualities. If you are interested in dance dynamics, you may already know his work. I'd even say that the theory about a hierarchy of muscle tension seems to derive from a previous movement analysis using Laban's definitions of effort. In case you don't know his theory yet, I'd recommend its study to you. Just with the description you wrote, it looks to me like the theory of tension hierarchies is tied to dancing styles or to a more limited understanding of human motor organization. The great thing about Laban's theory is that it can be applied to any movement, as well as to any genre or even individual style of dance. Therefore, I believe it could be a great complement for whatever purpose you have now. Other researchers concerned with the dancer's muscular organization are those that teach or practice within the frame of the 'somatic paradigm'. The theory you are searching for may be somehow related to the Release technique, the Feldenkrais Method or any other associated practice. 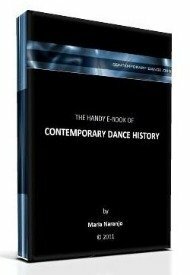 You could read the section about this topic in our page about contemporary dance techniques (as well as some of the pages that are linked in there). Maybe you find a connection that guides you to what you are looking for. It's a shame that I didn't have any knowledge about the specific subject you were looking for. However, I'll be glad to hear about it if you finally find it, as it may be of interest for many of us at contemporary-dance.org. Glad to have news from Dance New England. I wish you all great dancing! This morning, after reading your response, I suddenly recalled the author's name, did a Google search & found this website. Ms. Wetzig has changed the names of each form of "tension" however the principles & techniques appear essentially unchanged (although, by the look of her ongoing research, they have evolved by virtue of collaborative efforts with many others). You were correct in your guidance toward the Laban techniques however Ms. Wetzig's efforts seem focused as much or more on identifying these tensions in individuals & offering systematic path to enhance ones ability to shift to another "home" (comfort-level) movement pattern. Thanks again for your response. I'll take it from here.